The HD-M6 6.7” Enhanced Mid-Bass (cast frame) woofer has a slightly more massive voice coil than typical bass/midranges and leans toward the bass in the sound, compared to the classic type woofer. 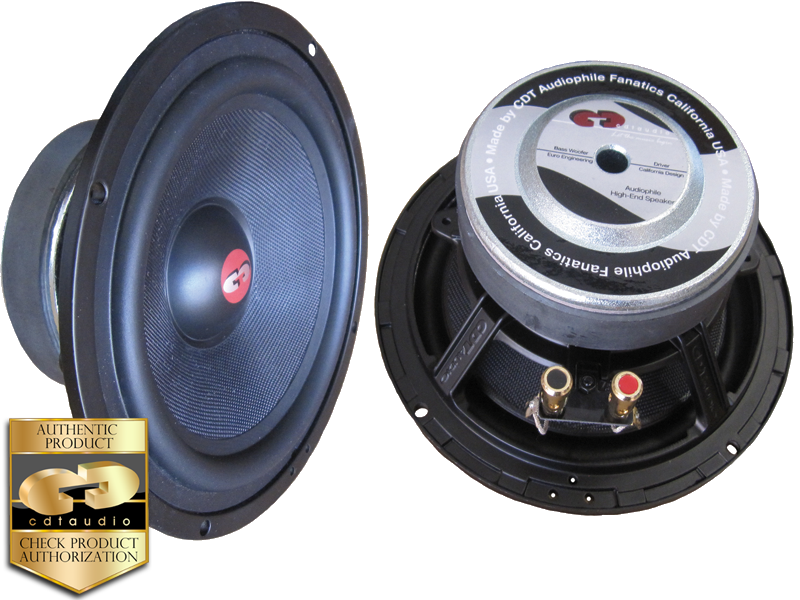 The upper midrange is mellower than the standard type 6.5” midwoofer designs. These fabulously smooth, mixed fiberglass fabric black coned beauties extract all the music and add no coloration to that sound. From rap to rock to smooth jazz, they are on top. The rendering of serious classical profundities is also exquisite. Utilizing a rubber edge and soft polymer dust-cap, these drivers create and absorb vibratory waves with astonishing control. The carbon reinforced mix-fabric paper cones offer ideal stiffness and damping. The curvilinear cone shape prevents cone flex and break up. This provides clean mid-bass even at higher levels. The always-critical midrange frequencies are clear and precise with no distortion from "ringing." The midrange driver use real butyl surrounds, not merely a mixed butyl compound. This provides longer, more linear excursion, and a far longer life because it's UV resistant.